From an at-risk child who needs a mentor to a battered woman who needs a safe home, there are so many needs in our community—needs that many of us forget as we go about our busy, day-to-day lives. But countless individuals make it their life’s work to make those needs a priority every single day. 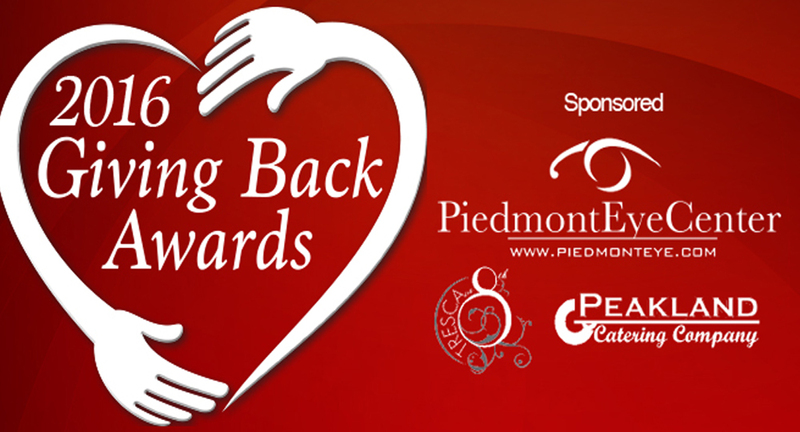 In our 3rd annual Giving Back Awards, we are honored to once again put Central Virginia’s nonprofits in the spotlight. Get to know the top 25 organizations who were nominated and ranked by members of the community. Over the past year, the staff, board and volunteers of CASA of Central Virginia worked hard to raise the necessary funds to make up an unexpected funding gap. We planned our first ever Superhero Run, partnered with Mustaches 4 Kids, sold thousands of pairs of shoes at our Warehouse Sale and Ladies Night Out and participated in the 25th annual Smith Mountain Lake Charity Home Tour. The hard work paid off, and we ended our fiscal year in June 2016 with a small surplus. 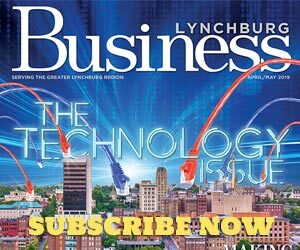 This year, CASA of Central Virginia won the nonprofit category and overall award at the Lynchburg Regional Business Alliance Small Business Awards. Our team was honored to be selected and grateful for the advertising package that came with the award. We were also thrilled to win the “Nonprofit of the Year” award from the Bedford Area Chamber of Commerce. The publicity that comes with these awards means increased donations and volunteers. Our team also planned something new—a Graduation Banquet to celebrate local foster youth who have beat the odds to graduate high school. Our hope is that these teens will be inspired to continue their education and follow their dreams. As we look ahead to 2017, we are anticipating… a possible expansion of our program into a neighboring county, new partnerships with universities, businesses and organizations, and increased opportunities for training and awareness. Creating a trauma-informed community is vital to breaking the cycle of abuse and creating a brighter future for our children and this region. We are impressed and encouraged by how Horizon is moving to an integrated, team-based care approach. This will help Horizon and other healthcare providers strengthen the integration continuum, thereby improving the health of our community. In 2016, we expanded the Crisis Intervention Team initiative and formed a partnership between eight local community service boards to develop regional child psychiatry and crisis services. We’re also on the road to becoming a data driven organization after implementing a fully functional and reliable new electronic health record. As we look ahead to 2017, we are anticipating… a transition from a fee-for-service to a value-based model. In 2016, Patrick Henry Family Services (PHFS) was approved by the Virginia General Assembly to launch Virginia’s first Safe Families for Children program in Central Virginia. Safe Families is a national program providing temporary shelter and provisions for young mothers and children in times of crisis. Also this year, Robert Day, CEO of PHFS, launched his first book Worst of Mothers…Best of Moms. In it, he shares the story of a childhood of abject poverty, neglect and unspeakable abuse. While difficult, the book is uplifting as it tells the endless wonder for God’s grace and how He uses our past for His purpose. All proceeds from the book will go to benefit the nonprofit’s ministries. We are very proud that in 2016 Hat Creek Camp, a beautiful 345-acre facility south of Lynchburg, continued to grow in programs and attendance. Other highlights from the year include expanding the Straight Talk radio broadcast and opening new Hope for Tomorrow counseling centers to include South Boston, Brookneal, Danville, Farmville, Lynchburg and Bedford. As we look ahead to 2017, we are anticipating… the implementation of an aggressive strategic plan that will expand our services, expand our service area even further statewide, and add new, more relevant residential care options for better meeting the needs of children. In addition to seeing couples build their family through domestic infant adoption this year, we had the privilege of providing international adoption home studies and/or post-placement services to families living all over the state of Virginia, who completed adoptions from The Democratic Republic of the Congo, China, Ukraine, Nicaragua, Bulgaria, India and Taiwan. Although there are fees involved in adoption, Family Life Services is proud to have maintained our adoption fees in the lowest 25% of agencies in the country and provide an affordable option for families pursuing domestic, international or embryo adoption. Family Life Services gained a lot of recognition and awareness this year in January when an adoption placement video, showing a couple meeting their newborn son for the first time, went viral through social media. As a result, we received an overwhelming number of inquiries in a short period of time and were able to assist people by providing accurate information about adoption, help adoptees get started on searches for their birth families, provide information to pregnant women who were considering adoption, and refer families wishing to pursue adoption to adoption grants and loan information. Other highlights of the year include raising money for a new company vehicle, hosting a Birth Mother Retreat and hosting the Empowered to Connect Conference simulcast. As we look ahead to 2017, we are anticipating… having the opportunity to assist more families pursuing infant adoption through parental placements/private adoptions and helping more families pursue embryo adoption. This year has been a very busy year for our program. We are able to provide our residential services to young ladies from all over the country. Not only have we been providing services and parenting education within our home, we have also been offering parenting education to young moms within our community. We feel that connecting with our community and providing services is of extreme importance. This spring and summer we celebrated several young ladies as they reached one of their educational goals. What a joy it has been to a part of their journey. In 2016, we housed four new moms and babies in our Mommy & Me program, which was licensed in 2015. This has allowed these moms a chance to adjust to their role as a mom while having the support of our team. We have also started designing and selling onesies as a way to support our program. They are available every Thursday at the LU Farmers market. And with the support of donors, we have been able to provide each young lady who completes our program with a fully stocked diaper bag. As we look ahead to 2017, we are anticipating… reaching more young ladies within our community and from across the country for both our Maternity and Mommy & Me programs. Mission: To provide short term or long term care and guidance to non-delinquent girls, ages four through 21, who cannot live with their own families. To provide care and guidance within a non-institutional, supportive environment, which encourages each girl to grow and develop to her highest potential. • One resident finished her first year of college classes through the early college program offered at E. C. Glass High School; she received her high school diploma in June. • Four girls worked part-time jobs in the community. • Events hosted by Phil Vassar (concert and golf classic) continue to raise awareness and raise funds for Miller Home. As we look ahead to 2017, we are anticipating… the opportunity to provide a loving environment that meets the needs of each girl that needs Miller Home’s program, as well as promoting opportunities for positive growth and development. Mission: Dedicated to eliminating racism, empowering women and promoting peace, justice, freedom and dignity for all. • Received over $300,000 in new grant funding for 2016-2017 for domestic violence and sexual assault programs. • Launched first annual YWCA Lynchburg Design House, with over 1,800 visitors to raise funds and awareness. • Renovated the Church Street Bridal Shop with “flip” project. Mission: A community-based organization dedicated to serving the unique needs of grieving children and their families through support and education. • Increased the number of support groups in Lynchburg City Schools. • Added a Program Director and Development Director. more awareness of our organization and growth within our programs. Mission: To provide every child with affectionate and personalized care in a safe environment and focus on providing for the physical, social, emotional, and cognitive developmental needs of children in an age-appropriate manner. • Dedication of the Marie Harris Outdoor Classroom. • Partnership with Hutcherson Early Learning Program to provide inclusive, individualized special education services to over 20 children. • EELC is accredited by the National Association for the Education of Young Children (NAEYC) making it one of only 8% of early childhood programs in the United States and the only school in Central Virginia to obtain this accreditation. As we look ahead to 2017, we are anticipating… celebrating our 20th anniversary and expanding to provide excellent care and an inclusive, quality education to meet the needs of more of the underserved children of Lynchburg. Mission: To provide opportunities for young people to step outside of their comfort zones and into the outdoors for wilderness experiences that teach life-long lessons. UBA is passionate about fostering an environment where its leaders can build Christ-centered, meaningful relationships with young people. • The ability to serve youth through Christ-centered discipleship and adventure trips grew exponentially. • Recent addition of a community house allows a place for youth and leaders to spend more time building relationships and having fun. • UBA is thankful for a community that stands behind them and supports their mission to share the love of Christ through adventure trips with Lynchburg’s youth. As we look ahead to 2017, we are anticipating… another year full of growth, adventure and Christ-centered relationships! Mission: To provide children facing adversity with strong and enduring, professionally supported, one-to-one relationships that change their lives for the better, forever. • Over 40 businesses came together to donate $40,000 worth of renovations to the nonprofit’s Langhorne Road building. • In February, BBBSCVA started a Major Gifts Initiative called “Mentoring Matters.” The goal of the targeted campaign is $400,000 over three years. There are currently commitments for $200,000. • Continued to change kids’ lives by matching positive, caring mentors with deserving children. Served 250 kids and families. As we look ahead to 2017, we are anticipating… making an even larger impact in the community by bolstering our services to meet the growing needs of the Central Virginia community. Mission: To cooperate in an interfaith effort to relieve distress and improve the quality of life for our neighbors in need by offering programs that provide education, guidance, and support. • “Interfaith Rebuilds” program logged over 5,000 volunteer hours in 12 months. • Took the “Return, Learn and Earn” job assistance class on the road. • Held monthly personal financial assessments to assist people served. As we look ahead to 2017, we are anticipating… continuing to ask ourselves on a daily basis, “What can we do to help our neighbors in need?” We continue to look at their entire situation focusing on what we can do to improve their quality of life, whether we are making budgeting or employment suggestions, as well as referrals to other agencies that can assist with advice on other legal, housing, medical, and training issues. Mission: Committed to improving maternal health through evidence-based education and free social support programing for women from preconception through postpartum. 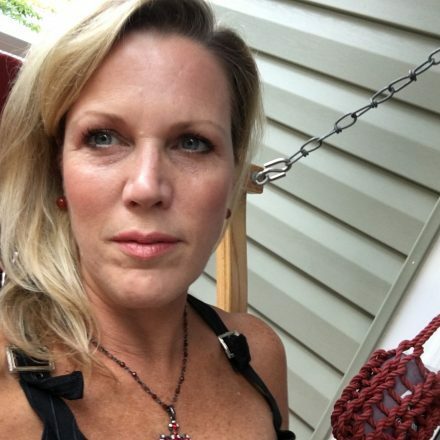 • Five continually running maternal health programs saw an incredible increase in numbers and were joined by two large community-centered workshops. • Volunteer staff grew from 12 to 25, extending our reach and impact. • Successful first annual giving campaign. As we look ahead to 2017, we are anticipating… deeper community partnerships that broaden our reach and further our goal to improve the mental, physical and emotional well-being of all women from preconception through postpartum. Mission: To end homelessness and rebuild lives through the empowerment of women and families. • Reconfigured Transitional Housing program to allow for an increase from 13 units to 15 units to serve more women and families each year. • Increased service capacity by 290%, which means that 116 more homeless women and families are served each year. • Had 50 participants in our Aftercare programs which ensure that formerly homeless persons do not return to homelessness. As we look ahead to 2017, we are anticipating… expanding our program portfolio to include a new project for chronically homeless women with disabilities in order to better serve the most vulnerable in our homeless population. Mission: A nonprofit corporation devoted to education and preservation of Patrick Henry’s legacy as well as maintaining and interpreting his last home and burial site, Red Hill. • Developed a new digital library with many of Patrick Henry’s documents. • Ignited a love of history in over 2,200 local children. As we look ahead to 2017, we are anticipating… growth in areas of archaeology and historical interpretation. Mission: To build an open and collaborative community that fosters innovation, creativity and the pursuit of science-based knowledge. • Found a home on 5th Street in downtown Lynchburg. • Took 3rd place Video Award in the Global Space Balloon Challenge in June. As we look ahead to 2017, we are anticipating… even more member growth and the continued evolution of our physical space. We have new educational programming planned for teens and adults, and we are looking forward to partnering with other organizations in the community. Mission: To increase the number of students who matriculate on to some form of postsecondary education, whether it is military service, trade or technical school, or two-year college or four-year college. • Provided 90 Hours of free SAT, ACT, and Community College Placement Test preparation to over 300 hundred students in 10-12th grade. • Helped the 2015-2016 LCS seniors save $53,000 during College Application Week through application fee waivers. • Served 96% of LCS seniors in the Future Centers. As we look ahead to 2017, we are anticipating…that our Future Centers will meet the needs of more students and families with programs, workshops and resources, that Beacon will be in a position to offer more scholarships and that we will be able to establish an endowment. Mission: To help pets in need through sheltering, adoption, education, spay/neuter services and community outreach. • Raised over $100,000 at the Best Friend Ball. • Executive Director, Makena Yarbrough, spoke at the Best Friends Animal Society’s annual national conference for the second time. • The LHS spay/neuter clinic reached its 50,000th surgery since opening. As we look ahead to 2017, we are anticipating… to have even more resources available to help pet owners with their problems and to have an even greater impact on the lives of the needy pets in our entire region. Mission: Exists to bring freedom and justice to victims and survivors of sexual exploitation and human trafficking. • Trips to all three international partners. • LCA raised over $56,000 for Christine’s House. • Freedom Gala in November 2015 produced $76,000 for mission. As we look ahead to 2017, we are anticipating…raising the full funding needed to build a Vocational Center in Uganda. This will act as a next step for girls after they leave Christine’s House. Mission: To provide affordable and comprehensive healthcare with quality services and strong community partnerships. • Hosted the 2nd annual Back to School Care Fair on Federal Street and expanded the event to Bedford in 2016. • Added an immediate care facility, Amelon Square Immediate Care, to increase access to same day visits. • Awarded Employer of Choice Award, becoming the first federally qualified health center to receive this award. As we look ahead to 2017, we are anticipating… expanding access and services through our new site on Atherholt Road. This location will be aimed at creating a center of excellence for women’s and children’s health and will include dentistry services for children and pregnant mothers. Mission: To provide healthy meals, friendly smiles, and warm reassurance to the local homebound community. Highlight from 2016: Expanded the number of people served by 35% while still keeping staffing costs level, without government funding, and with no waiting lists. As we look ahead to 2017, we are anticipating… rising to the challenge of continued growth. Nationally, 10,000 people a day are turning 65. As our community continues to age, there is an ever increasing need for in-home services. Mission: To share the love of God at home and around the world through the efficient delivery of high-quality, life-saving supplies to victims of extreme poverty and devastation by connecting corporate surplus to critical needs. Highlight from 2016: When an EF-3 tornado devastated more than 100 families’ homes in Appomattox, Gleaning began delivery of humanitarian aid within just a few hours. As we look ahead to 2017, we are anticipating… that our committed staff and loyal volunteers will be prepared to meet the demands of our local communities, no matter what unknown events impact Central Virginia in the coming year. Mission: To serve a free, hot meal every day of the year. Highlight from 2016: Daily Bread now brings excess meals to seven outreach sites throughout the region, including Altavista where there is the first ever Daily Bread drive-through. As we look ahead to 2017, we are anticipating… creating more outreach sites and hopefully receiving more food donations and financial support to sustain this growth. Mission: To promote and protect the human rights of people with intellectual and developmental disabilities and actively support their inclusion and participation in the community throughout their lifetime. Highlight from 2016: 76 individuals attend the Day Support program; 61 individuals attended the Arc’s summer camp. As we look ahead to 2017, we are anticipating… changes in our service delivery system to include a greater number of individuals with intellectual and development disabilities in our programs and in our community. Mission: To inspire girls to be joyful, healthy and confident using a fun, experience-based curriculum that creatively integrates running. Highlight from 2016: Expanded throughout Central Virginia to serve 1,110 girls at over 60 active sites. As we look ahead to 2017, we are anticipating…continued growth through our amazing volunteers and their efforts to bring the Girls on the Run and Heart & Sole programs to their communities.